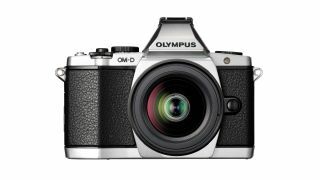 Olympus claims that pre-orders for the OM-D have been its "highest ever"
A spokesperson from Olympus has said that pre-orders for its E-M5, the first in the Olympus OM-D line are the highest they've ever had, for a camera of its kind. Speaking to TechRadar, Mark Thackara, Olympus UK marketing manager said, "Pre-orders are the highest we've ever had, it's a lot higher than the [PEN] E-P1, and even the biggest pre-order level for many years, which I think shows how people are responding to the camera." Olympus introduced the OM-D during the Japanese photography trade show, CP+. It features a retro design and inbuilt electronic viewfinder. It's a new direction for the company, which was one of the first on the market with mirrorless cameras, unveiling the PEN E-P1 back in 2009. The OM-D is aimed at advanced enthusiasts, and comes with a price tag of around £1000 body only, or £1200 including the new 12-50mm kit lens. It competes in the market against the Fuji X Pro1 and Sony NEX-7, both of which are also aimed at the advanced/pro end of the consumer. Scheduled for release in mid-April, UK customers have been tempted by an array of offers which include a free battery grip for all pre-orders.